neurological function and the immune system. Vitamin E? Which spices and herbs are rich in Vitamin E? positive claims of this antioxidant. may also help fight existing cancers (2012). Vitamin E on Alzheimer’s patients (1997). degeneration, or the loss of eyesite, by 20% (2007). contribution to hair and nail health (2010). their risk for pneumonia by 79%. How Much Vitamin E is Recommended? Vitamin E to reap its benefits without putting oneself at risk. suggests a higher dose of 15mg (22.4 IU) daily for adults. are the richest whole food source of the antioxidant. sprinkle them on salads for a crunchy, healthy boost! properties than when eating either alone. not creep up on you quite as fast! provides 11.1% of the daily recommended dosage of Vitamin E.
E found in the papaya plant is helpful in staving off blindness. dose of skin and hair protection. vitamin and mineral humans need for optimal health. on the oil, however, because it is loaded with calories. risk of asthma in children when consumed by pregnant women. basil and oregano significantly reduced the risk of dementia. Shanghai Cancer Institute for reducing the risk of liver cancer. 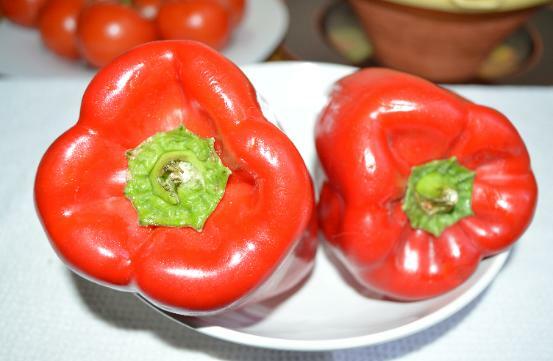 Bell peppers are rich in Vitamin E.